Although I am an avid Apple fan and am slowly becoming a pure Apple user in terms of lifestyle gadget, for me, there has always been one sacred cow that Apple has never been able to penetrate – that of the mobile phone domain. For me I am a Nokia loyalist. Having made the mistake of following a trend and switching to Sony Ericsson, I can now happily say that I am back with Nokia and have never been happier. So when the iPhone came out I was intrigued but apprehensive and the touchscreen keyboard was a concept that frustrated the hell out of me with constant spelling errors due to the proximity of each key. I was sure that I would be one of the few that would be iPhone-free. I settled instead for an iPod Touch which I have grown to love and which has cleverly got me adjusted to the touch screen format. This is what I call clever marketing – if one product does not work, offer the customer a less intimidating model in terms of price and usability and then slowly up-sell to a higher end variant/model. When I saw all the ballyhoo created by iPhone 4 users, I felt slightly vindicated at my choice of being iPhone-free. That is until I watched Steve in a Press conference addressing the problems that have been raised by some iPhone 4 users. That Press conference was one of the most effective tools of branding that I have ever witnessed, short of Obama’s presidential campaign in 2008. You can say that it was a triumph of the Apple PR machinery but really it boils down to delivery and Steve is a master communicator whom all CEOs should learn from. His delivery was clear, concise and passionate. The key message that I kept getting out of it was – ‘If our customers are not happy, we’re not happy”. He spent 15 minutes or so telling the press what Apple was doing fix this problem and make their customers happy. So simple, so effective. 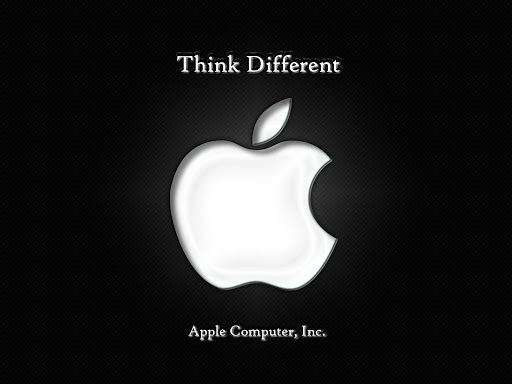 At that moment the Apple brand did not merely stand for Think Different, it was Think Different to Make our Customers Happy. A simple but heartfelt promise that cuts to the core and looking at the queues outside Apple stores on the day of the launch of both the iPad and iPhone 4, it is a promise that has not only been delivered but has built an army of ardent, even cultish devotees. And ‘happy’ is really what it constantly delivers. Yesterday, I saw a 46-year-old man whose previous phone was the most basic Nokia model, becoming childlike in his exploration of his new iPhone 4 and the Apps it contained. His eyes lit up with delight playing with the fingerprint scan and he would roar with laughter every time he got a call from his fake friend. There are those who are so happy that they wrote a song to defend the iPhone 4 and posted it on Youtube. ‘Happy’, as a promise, has made Apple into an invincible brand. It is the biggest music company in the world and on the 26th of May 2010, Apple became the largest company in the tech universe and the second largest in the US, behind Exxon Mobil. So I guess I can safely say that ‘happy’ sells. Towards the end of his talk, he seemed to wane and I immediately began to worry about his health. Suddenly I could not imagine a future without Steve and hoped that whatever was ailing him post liver transplant, was only a temporary affliction. But at the end of that twenty-minute Press conference, he had turned me from a fan to an ardent believer of ‘brand Steve’ and ‘brand Apple’. You can be sure that when the iPhone 4 rolls onto our shores that I will happily part with my money to get a bigger slice of happy. That, for me, is the pure power of branding. NOTE: February 7th, 2013 — About a year after this blog entry was posted, Steve Jobs died, on October 5th, 2011. He had been on medical leave since the beginning of that year, though he made a few promotional appearances. “Stay hungry, stay foolish” became an everyday expression and it seemed as if his death made Apple enthusiasts all the more determined to live the motto. More than a year later, I’m happy to note that the light of the Apple brand has not dulled at all. How have they managed this? Because the world will always have dreamers. It will always have those who believe in the power of thinking differently. Steve Jobs was a dreamer who cleverly encouraged a culture of dreaming. In doing so, he left us the invaluable legacy of how a brand can live on, even if it has lost its most charismatic, iconic and visionary leader. Apologies but I just noticed this post. Yes the man is an icon and there are many things one can learn from him. Just read in Fortune about how driven he is and how he drives his employees and does not take kindly to failure. Maybe that's what it takes. A nothing-less-than-the-best approach. How is sweettape coming along?